What’s Next for 52 Churches? 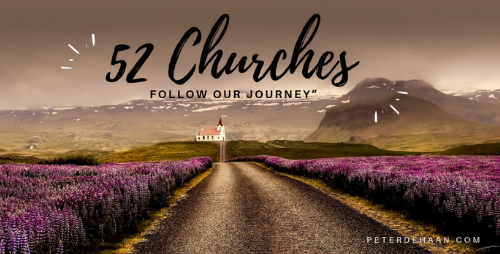 HomeBlog52 ChurchesWhat’s Next for 52 Churches? Our experience of visiting fifty-two churches in a year is over. I’ve shared the journey, as well as my recap and reflections on our pilgrimage. It was a great experience. Quite a bit, actually. 52 Churches is now a book, with a scheduled publication December 4, 2018. I only posted a fraction of what is in the book. Besides additional text, the book also includes my summary of the adventure and my conclusions. But who says we need to stop at fifty-two churches? In the months since Church #52, we’re continuing to explore how the various branches of Jesus’ church worship and serve him. Look for more posts about more churches in the future. In many ways, 52 Churches isn’t over. It’s just beginning. Order your copy of 52 Churches today, and while you’re waiting, reread the posts about all fifty-two churches. It was good, after visiting 52 churches, to get back to a regular rhythm, in a familiar place, each Sunday. Yes, Prabhakar, I hope so!